What harm can having too little of vitamin B12 do? Consider this: Over the course of two months, a 62-year-old man developed numbness and a “pins and needles” sensation in his hands, had trouble walking, experienced severe joint pain, began turning yellow, and became progressively short of breath. The cause was lack of vitamin B12 in his bloodstream, according to a case report from Harvard-affiliated Massachusetts General Hospital published in The New England Journal of Medicine. It could have been worse—a severe vitamin B12 deficiency can lead to deep depression, paranoia and delusions, memory loss, incontinence, loss of taste and smell, and more. The human body needs vitamin B12 to make red blood cells, nerves, DNA, and carry out other functions. The average adult should get 2.4 micrograms a day. Like most vitamins, B12can’t be made by the body. Instead, it must be gotten from food or supplements. And therein lies the problem: Some people don’t consume enough vitamin B12 to meet their needs, while others can’t absorb enough, no matter how much they take in. As a result, vitamin B12 deficiency is relatively common, especially among older people. The National Health and Nutrition Examination Survey estimated that 3.2% of adults over age 50 have a seriously low B12 level, and up to 20% may have a borderline vitamin B12 deficiency. Are you at risk of vitamin B12 deficiency? There are many causes for vitamin B12 deficiency. Surprisingly, two of them are practices often undertaken to improve health: a vegetarian diet and weight-loss surgery. Plants don’t make vitamin B12. The only foods that deliver it are meat, eggs, poultry, dairy products, and other foods from animals. Strict vegetarians and vegans are at high risk for developing a B12 deficiency if they don’t eat grains that have been fortified with the vitamin or take a vitamin supplement. People who have weight-loss surgery are also more likely to be low in vitamin B12 because the operation interferes with the body’s ability to extract vitamin B12 from food. Conditions that interfere with nutrient absorption, such celiac or Crohn’s disease, can cause B12trouble. So can the use of commonly prescribed heartburn drugs, which reduce acid production in the stomach (acid is needed to absorb vitamin B12). The condition is more likely to occur in older people due to the cutback in stomach acid production that often occurs with aging. While an experienced physician may notice the symptoms and be able to detect a vitamin B12 deficiency with a good interview and physical exam, a blood test is needed to confirm the condition. It’s a good idea to ask your doctor about having your B12 level checked if you are a strict vegetarian or have had weight-loss surgery or have a condition that interferes with the absorption of food. Early detection and treatment is important. If left untreated, the deficiency can cause severe neurologic problems and blood diseases. A serious vitamin B12 deficiency can be corrected two ways: weekly shots of vitamin B12 or daily high-dose B12 pills. A mild B12 deficiency can be corrected with a standard multivitamin. In many people, a vitamin B12 deficiency can be prevented. If you are a strict vegetarian or vegan, it’s important to eat breads, cereals, or other grains that have been fortified with vitamin B12, or take a daily supplement. A standard multivitamin delivers 6 micrograms, more than enough to cover the average body’s daily need. If you are over age 50, the Institute of Medicine recommends that you get extra B12 from a supplement, since you may not be able to absorb enough of the vitamin through foods. A standard multivitamin should do the trick. The Internet is full of articles lauding the use of vitamin B12 to prevent Alzheimer’s disease, heart disease, and other chronic conditions or reverse infertility, fatigue, eczema, and a long list of other health problems. Most are based on poor or faulty evidence. Take Alzheimer’s disease as an example. Although there is a relationship between low vitamin B12 levels and cognitive decline, clinical studies—including those involving people with Alzheimer’s disease—have not shown improvement in cognitive function, even doses of the vitamin as high as 1000 micrograms. For now, it’s best to get enough vitamin B12 to prevent a deficiency, and not look to it as a remedy for what ails you. Knuckle cracking: Annoying and harmful, or just annoying? Prescription monitoring programs: Helpful or harmful? I have a question. Does B12 (or even B-Complex) deficiency cause blotting of hands, feet and face. I have come across many people in India, who are poor and vegetarian and complain of facial, hands and feet swelling combined with extreme exhaustion. I know exhaustion is a symptom of B-complex deficiency, but am not finding any literature on whether bloating is also a symptom. My gastrintologist told me that I am deficient in B12 and ordered shots every month. What I am wondering is if a B12 dietary supplement having 500 mcg in them would be enough to replace the shots? Pleast let me know soon. I have a hiatial hernia and two polyps: one in my stomach and one in my small intestine. He took a biopsy and I have to wait at least 10 days to find out the results. I am very worried about the hernia though. Thanks for your help. I still jog and mostly walk. Still am working. Been vegetarian leaning mostly to vegan for a long time. Basically very active! For years now I’ve been using XS Energy Drinks and Rhodiola. I discovered these online. From the Amway company. I believe two XS cans are equivalent to a B12 shot. And they have 15 or more flavors, even decaf. They are great tasting. They don’t cause a rush during, nor a crash afterwards feeling. Usually I have a Rhodiola and an XS drink in the morning instead of coffee. Sometimes have another XS drink at a lunch break, along with their Perfect Pack vitamins. Having energy to do what you need to and want to do, is the way to go. Getting old ain’t kid stuff. B12 deficiency is so very common. As a Michigan foot doctor, I see patients with burning/numb feet on a regular basis, and though sometimes it can be indicative of a much bigger problem, I’m surprised by how often the burning sensation is mitigated when a patient begins taking a vitamin B complex. Should treatment for vitamin b 12 deficiency be started immediately. My Dad has just been diagnosed on the 5th of March but treatment will not start untilll the 13th of march. Is this normal? I’m a 32 year old female and have just been diagnosed with B12 deficiency. I had my firsts injection about three weeks ago. Yesterday I fainted for the first time in my life. I’m always tired, dizzy, have a nasty headache and feel like crap. What can I do to get my health back? How do I know if any damage has been caused before diagnosis. I’m beyond frustrated right now and just want my health back. Just wanted to add to the above questions, I am 67 years old and B12 Vitamin Deficiency is in my family. I have just recently had a B12 deficiency test done by my doctor thru a blood test. I have a lots of the symptoms that are listed and as I told my doctor what symptoms I had she suggested I have a variety of blood tests done including B12 deficiency. I will get the results this week. One of my symptoms is burning of the feet and pins and needles etc. I decided that while waiting for the results I would buy a bottle of B12 Vitamins 1000 mcg. I know that some people would have to get B12 shots each month if one were very high in B12 deficiency. So, I took a Vit B tablet and found that the burning of my feet and pins and needles increased quite a bit. Can anyone tell me why this would be? Would it be because I was allergic to Vitamin B. I remember when I was younger that when I took Complex B Vitamins for a hangover I seem to be worse. If I have Vitamin B12 deficiency, which I feel that I have, does anyone know if I took the B12 Shot which goes directly to your bloodstream, I would have some negative reaction to it. Hi to much taking b12 is harm full to your body ? About 8 years ago, I started feeling tired, numbess and tingling in my fingers and toes. I went to a couple of neurologists they did MRI’s, bloodwork and a spinal tap and could not find anything. Two years went by and I was getting worse. I found an internal medicine dr. and he did a MRI, bloodwork this time including B12 level. My B12 level was a severely low 41. Being that 200 is the minimum. He started me on b12 injections but permanent nerve damage was already done. I still take B12, but now in a form of a nasal spray called Nascobal and my level has been in the 800’s. But I have severe stiffness, spacticity,and my balance is very bad. I walk with a cane or walker,but I wish the drs. would have found this earlier. They’ve said they’ve never seen anyone with such a severe b12 level and was still doind things and most of all still alive. I would love to hear from others that have had a B12 problem just to talk to. I’m not a real fan of taking any sort of supplement, especially with the dismal track record of toxic elements being found in medicines these days. Reading all these comments on B12 reminded me about my condition. I complained about numbness and severe tingling in my feet. My Dr. suggested I see a nerve doctor. He gave me a galvanic skin test and abruptly told me I had diabetes. Not the case. Never had it. Took all those meds that were prescribed for other ailments. Didn’t work. Then, I came down with thyroid storm. Eureka. At last, a diagnosis of something. My thyroid stopped working months before. Lost about 25 lbs. in less than a month. Also, had been taking PPI’s for a long time. Mother had thyroid desease and had a goiter. Lost a lot of hair on my head, hairless legs up to the Y. Started taking Thyroid meds and blood tests were now normal. After a year or two, thyroid went downhill. Took the poison pill to kill thyroid. Didn’t work. Thyroid started working again. Haven’t taken thyroid meds for a long time now and feel almost normal. Still have tingly feet with numbness. Now that I’ve read B12, I’ll ask my learned MD about a B12 blood test. Why not, I’ve given so much of it for tests, what another vial or two. I’m 63 now, male, lost 2 inches in height(5’4″ now). Thyroid killed my bones also. Had surgery to repair lower spine. Vertebrae died on the last two rungs and disks went kaput. I have always wondered just how prevalent Vitamin B deficiency is and how hard it is to get the vitamin back up in your system. can just buy off your local drug store shelf. failure and also heart disease. FIRST, ITS NOT EXPENSIVE AND WELL WORTH IT!!! Hi – my father in law was diagnosed with a sever vitamin B12 deficiency. His symptoms now mainly consist of balancing/staggering problems (difficulty walking) and mild weakness. Two Drs. have said the damage has already been done and he will never fully recover. He will need to take an injectable vitamin B12 for the rest of his life and he will always need assistance walking. Is there any treatment other than vitamin B12 shots which can help to reverse the symptoms so he will be able to walk on his own again? There are B12 patches available. Are they better than supplements taken by mouth? Seems today that most doctors are only interested in lipid panel results if you’re over the age of 30. I think they’re trying to show insurance companies that they’re frugal….at our expense. hi there im a 30yr old male. i wonder if any 1 can help!!! about 6months ago i started feeling funny symp… incl. I have had a full blood count done and also checked my thyriod,cholestrol,sugar and urine samples. What kind of vitamins did you prescribe? Do you think it would be best to go for a vitamin & iron blood test? What other tests would you recommend if any? Syeda my symptoms are also not present all day long i might be feeling healthy one minute and then from nowhere i feel tingling and nausea the next…followed by cramps. I read up on B12 deficiency and i display about 8 off these symptoms,however i have spoken to my GP and he says they would have picked up on a vitamin B deficiency in my blood count…? thank you once agian for your time and effort. It could be a food allergy. Try an elimination diet and I suggest you begin with wheat. Eliminate all sources from your diet for 7 days and see if sympyoms go away. Good article. I was diagnosed with a severe case of vit B12 deficiency in 2003 following gastric bypass surgery in 2000. I was extremely fatigued just wanting to sleep all the time. Also experienced this weird metallic taste in my mouth. Finally went to DR. I was checked for anemia and found out my hemoglobin was down to 5.9 grams (normal is12-14 gms for a female) Dr also checked my B12 level. It was less than 12 (extremely low). My Dr said that he had never seen a patient with a level that low. Anyway, he transfused me with 2 units of blood and put me on B12 injections wkly for a month, then reduced to monthly. No more problems as long as I take my injections monthly and keep my level monitored yearly. Hello my name is Corina and I am currently on my last semester of college and I am pursuing a degree in dietetics. The reason I am writing to you or to anyone out there that reads this post. I am conducting a research project having to do with vitamin B12 and Gastric Bypass patients. My questions to you and anyone who has already had gastric bypass are pertaining to your moods. 1. Before you had gastric bypass did you have any mood disorders like depression, bipolar, or just severe mood swings with mild aggression? 2. After surgery are you recommended to take B12 Supplements? What kind, shot, drops, or a pill. 3. After Surgery have you experienced any of the symptoms from question 1? If so can you please describe your moods. Vitamin B12 is important, I know as my husband who is diabetic takes shots every month. I can see that deficiency affects his moods and over all mental state. I have been experiencing severe hair thinning/loss over the past few months –more rapidly since Christmas holidays. I take a Vit12 1000 mcg daily. Does Vit B12 have any role in my hair troubles? Contains great info by Dr Solomon (B12 researcher), Sally Pacholok (Could It Be B12? author) and a doctor who was misdiagnosed and near death. I had no idea that vitamin B12 was so necessary. Thanks for the information. Great article. I’m constantly reminding my patients to supplement, especially for patients who aren’t big meat eaters. Excellent energy benefits as well! If you think you have a B12 Deficiency please see the Pernicous Anaemia Society website and b12d.org. Both contain much more information than contained in this article. The book Could It Be B12? : An Epidemic of Misdiagnoses by Sally M. Pacholok is also an excellent source of information. Please keep in mind that the serum B12 test misses 40-50% of deficiencies. It should only be used with MMA and tHcy tests to rule out a B12 deficiency. Neuropsyciatric symptoms are commonly seen anywhere below 500-550 pg/mL (Japan’s lower limit). Anyone with neurological symptoms such as memory problems, balance problems, peripheral neuropathy and tinnitus require frequent injections for a long period of time, such as every other day until there is no further improvement. Nerve damage may take up to a year to 18 months to heal. According to the manufacturer’s insert up to 90% of cyanocobalamin is found in the patient’s urine after 48 hours. Oral cyanocobalamin may not work for anyone other than vegans because only 1% is absorbed by passive diffusion. Higher doses are required for neurological healing, though lower doses may keep you alive you will be suffering so many symptoms you won’t want to be. I just posted a link to your great documentary! Only saw this link you posted after. I am glad that I get to tell you personally how moving and inspirational your doc is. It really is amazing how little the medical community (myself included until 11 months ago!) is educated about B12 Deficiency. So many people suffering for want of a cheap, water-soluble, non-toxic vitamin! There has NEVER been any research that corroborates this statement. Usually treatments are life long depending on the cause. Most people have relief from the symptoms soon after treatment has begun. However, in severe cases treatment will not correct any/all brain and/or nerve damage already done. Your doctor will again check your levels of Vitamin B12, through a blood test, a few months after beginning the treatment. “A standard multivitamin should do the trick.” The evidence supporting this statement? Getting enough B12 from a multivitamin may to be fraught with problems for everyone. Most multivitamins do not have enough B12 to prevent or correct a deficiency. And many standard multivitamins contain B12 “analogs” that cannot even be used by the body. 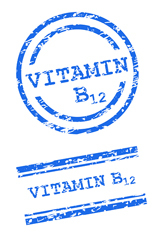 There is even some evidence that vitamin C in a multivitamin may convert the B12 in the vitamin to a harmful analog. Most multivitamins contain high folic acid compared to the amount of B12 (even though these two B vitamins are co-factors.) Without enough B12 you cannot metabolize folic acid. If you have any of the common gene variants that impair folate/B12 metabolism (MTHFR is the most studied) you could actually end up with functional deficiencies of both of these important B vitamins, while thinking you were protected by a daily multivitamin. Too much folic acid in the presence of not enough B12 seems to increase disease risk across the board– it can mask the anemia and worsen the nerve damage of a B12 deficiency. It may be best to get B12 from a stand alone supplement, or one containing B6 folate and B12, since they work together to keep homocysteine down. Pills don’t work for everyone, and cannot take the place of parenteral B12 for everyone. I agree with the previous poster that the book Could It Be B12? is the recommended read on all B12 related matters. I’m in my late sixties. I occasionally take a multivitamin tablet.Wonder if i should start taking vitamin B 12 supplement. I’m of lean built but am active. Can any body inform me about the name of the test which dectects the deficiency? Thanks! I am 84 years old and not a strict vegetarian but have never eaten a lot of meat and was told by doctors forty years ago I was borderline anemic. Only multi-vitamin tablets were suggested until my current MD recommended monthly B-12 shots because she thought my body was not absorbing it from food or multi-vitamins. Seems to have worked well for at least six years now. I’m active and hope to stay that way as long as possible. Apparently not. A highly recommended read on this and all B12 related matters is ‘Could it be B12? by Sally Pacholok and Jefferey Stuart.